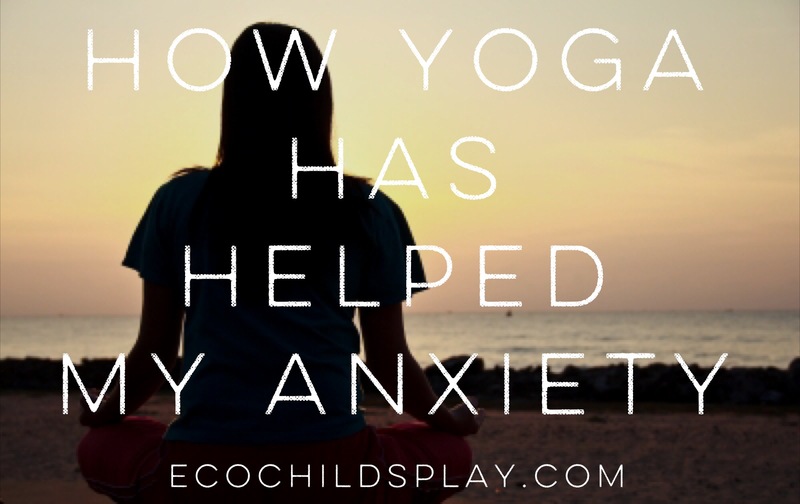 These 20 yoga poses can help you reduce anxiety when coupled with breath. Last week, I took my son to the pediatric cardiologist. For 11 years, this has been the most dreaded day of my year. Typically, I have such anxiety that I feel like vomiting as I sit watching the computer screen during his echocardiogram. My son was born with Tetralogy of Fallot (TOF). He was diagnosed at two weeks of age as a wildfire burned across our land. It was a time of incredible anxiety and fear as both my home and child’s futures were unknown. TOF congenital heart defect has rocked my world. I have learned so much. I have learned to appreciate western medicine. I have learned how to important family and a support system is in good times and bad. I have learned to love Obamacare. I have learned how to cope with anxiety. I have been practicing yoga for over 20 years. My practice has been largely self-taught until about three years ago. Shamefully, I admit that videos were my teachers until I brought my children to a larger community for schooling. I received my own schooling too. When I first attended classes, I had anxiety. I would compare myself to others. I would size up the other students in the class. I would judge and self-judge, all habits from growing up. As my practice progressed, my time on the mat has become less self-critical and more enjoyable. I no longer have anxiety when attempting a difficult pose. I laugh. I enjoy what my body can and cannot do. I am curious. I observe my thoughts. I listen. I notice how certain thought patterns affect my balance and strength. I take this knowledge off the mat into my life. Somehow, Yoga always seems to make things better. When I don’t feel well, I am tired, or I have anxiety, my practice gives me equilibrium and balance physically and emotionally. Last week, my son had his yearly pediatric cardiologist appointment. For the first time in 11 years, I did not feel like vomiting. I breathed. I recited my mantra. I felt calm and at peace. I was more present for him. Why? Yoga. It is not just the stronger yoga body that has given me emotional strength; it’s the breath work and composure. To breathe deeply and calmly in a difficult asana transfers to breathing deeply and calmly during difficult times in life. Additionally, sitting up tall, opening one’s heart, and practicing metta towards oneself and others keeps anxiety at bay, or at least helps us recognize it and name it for what it is so we can get on with facing whatever we must face. Please remember that many of these yoga poses are not for beginners and need to be done properly to prevent injury. To get the anxiety-relieving benefits of these asanas, you do not need to do them when facing stress. I did not practice a headstand while my son got tests done on his heart, although I have been known to practice in airports. The benefits transfer from regular practice with calm, ujjayi breathing. Attending classes with heart-based themes add additional meri. A disciplined yoga practice with real teachers has blessed my life in countless ways. I can practice calmness in the face of adversity, well most of the time. I have learned equanimity, or at least I understand it. I can’t say that I really feel equanimous that my son may need another open heart surgery, but instead of worrying and feeling sick with anxiety about possibly hearing this news, I am now able to just be. Worry doesn’t change anything. It has no positive effects on outcome. It only adds stress. Worrying and anxiety will not fix my son’s heart. It will not heal his leaky valve and left pulmonary artery. Neither will yoga. Instead, my yoga practice has given me strength I can tap into in good times and bad. When my son was first diagnosed, I thought his surgery would be at six months of age. At three months, the doctor said it was time. I broke down. I wept. He said to me, “You knew he needed surgery. He is big enough now.” Yes, it was inevitable. It just came sooner than expected. The doctor’s words have stuck with me. Should my son need a valve replacement and stent, my worries will not change that. My prayers and positivity may, but my worries and anxiety will not. I am thankful for my yoga practice. It challenges me on so many levels, but the greatest gift it has given me is to be more fully present at this once a year cardiologist visit. This is our karma. This is our life. « Why you should eat more beans!